Business analysis is a crucial phase of any project. And a business analyst is someone who helps to turn ideas into reality by bridging the gap between real-time scenarios and expected scenarios. Furthermore, business analysis is a critical task because the entire solution can turn wrong if the requirements are not clear. It may lead to causing business a substantial financial loss in future. Hence, nowadays, with more recognization in the industry, business analysis certifications have become hugely popular among the professionals for a better career. Moreover, it’s not just about achieving a high salaried safe job, the best business analysis certifications help you build skills like leadership, problem-solving, and facilitating processes in a business analysis. Hence, if you are a business analyst or a professional who wants to pursue a business analysis career and interested in top business analysis certifications, you are likely wondering which one would be the best business analysis certification for you. 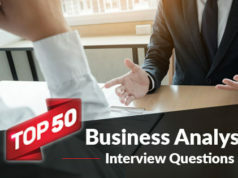 In this blog, we will discuss top 5 business analysis certifications with respective roles and other criteria to guide you accomplish your goals. Furthermore, we will highlight few key points on the overall approaches of the certification issuing bodies. What are the Roles of Business Analyst? Let’s understand the roles of Business Analyst before moving to the best business analysis certifications. As most of today’s business is tightly coupled with IT solutions, not to mention every business solution is technology based. Hence, the business analyst is professional who performs multiple jobs i.e. business analyst is multi-tasker. IT Business Analyst – A mediator role between business and technology and opens up the scope towards managerial vertical. Hence, if you want to move on to project management track, it is ideal for you. Each of the best business analysis certifications we will discuss over here depends on the parameters mentioned above. 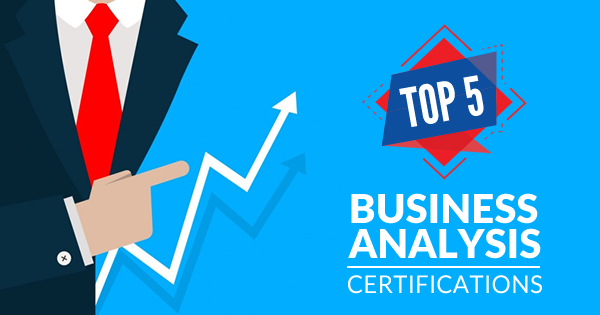 What are the 5 Best Business Analysis Certifications in the Market? Practice Tests are one of the important resources for the certification exam preparation. If you are preparing for ECBA certification exam, ECBA practice tests will help you prepare for the exam! Start with ecba free test NOW! This is one of the entering certifications in business analysis from IIBA. As mentioned in the above table no prior experience as a business analyst is required to pursue this certification. Hence, from a fresh graduate to functional managers everyone is eligible for this certification. Planning to start your business analysis career with ECBA certification? Here we bring the complete preparation guide for ECBA certification exam! If you are in the engineering field and dealing with requirement gathering for development, testing or business design then this certification helps you to develop your professional skills. There are three levels of this certification, and each of them is correlated which means you need to finish these levels one after another. IREB conducts the entire certification program, and you need to take the content and exam from authorized certification centers by both online and classroom mode. If you have 2-3 years of experience or have 3750 hours or more experience, then CCBA is the right choice for you. 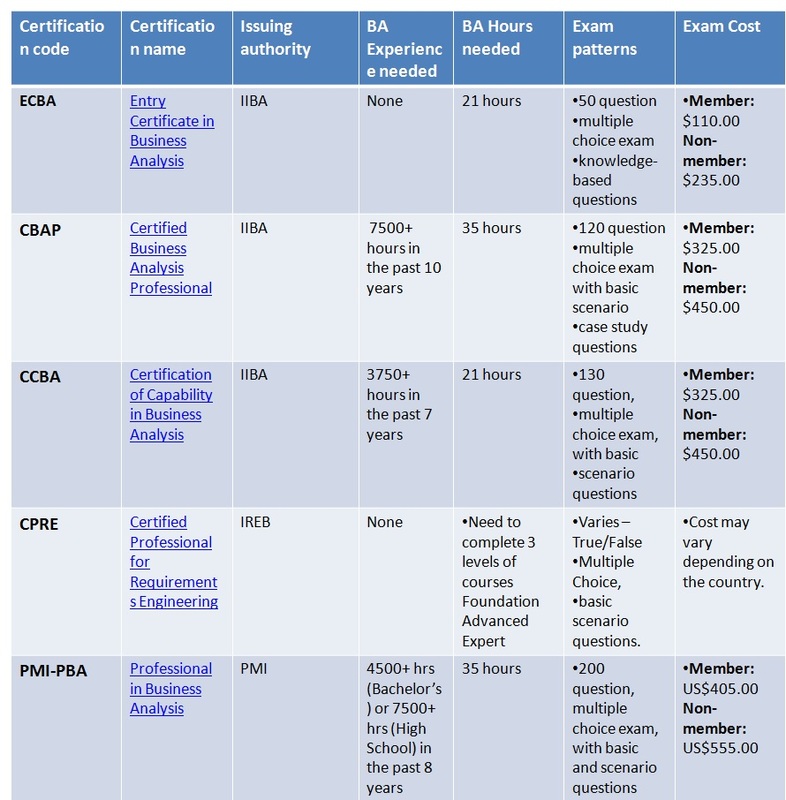 Preparing for CCBA certification exam? Check your current level of preparation with CCBA Practice Tests. Start with CCBA free test now! If you are in project management stream then it is the best fit for you provided you meet the criteria mentioned in the above table along with 2000 hours working on projects. If you have 2-3 years of experience and 4500+ hours of experience as BA, then PMI-PBA is the right choice for you. PMI Certified Professional Business Analyst Professional (PMI-PBA) certification. However, there is a crucial difference here while you select one of these certifications. If you want to continue as a business analyst in long-term career then investing in CBAP is worth for you. Apart from the criteria mentioned in the above table, the other eligibility criteria is same as mentioned for CCBA. Preparing for CBAP certification exam? Check your current level of preparation with CBAP Practice Tests. Start with CBAP free test now! If you want to prosper in project management or Agile business strategy, then PMI-PBA is the ideal one for you. What are the fundamental differences between IIBA and PMI certifications approach? Though both PMI-PBA and IIBA are among the best business analysis certifications, there are some key differences between PMI certification and IIBA certification approaches which are also a considerable area while you select them as your certification choice. PMI is broader in scope with respect to the Evaluation tasks which additionally cover some areas of Quality Assurance. However, the BABOK® Guide of PMI specifically confines the business analyst role in this matter. In contrast, IIBA® approach does not confine business analysis to programs or projects. Furthermore, IIBA® explicitly defines the business analysis activities that go beyond the project. Moreover, these activities are applicable for overall organizational improvement. PMI business analysis approach is more realistic and in-place at current organizations. However, for future career perspective and opportunities, IIBA approaches are more considerable. 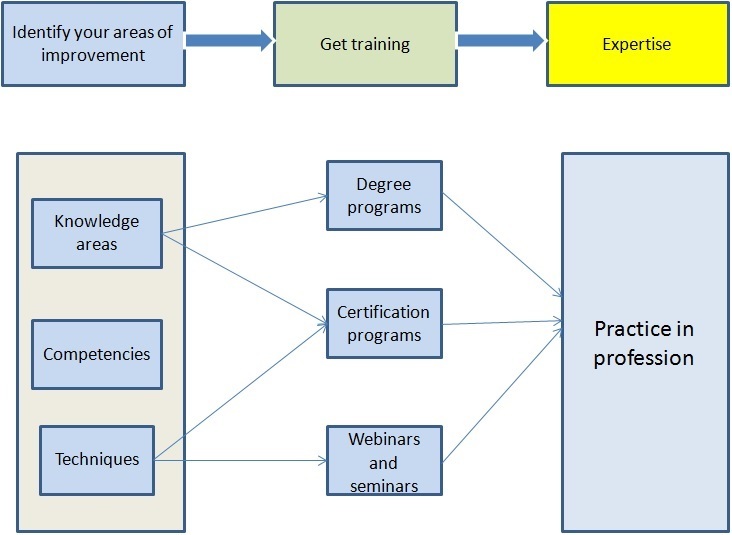 Do you find yourself fully prepared for PMI-PBA certification exam? Try now how many of these PMI-PBA free questions can you solve? 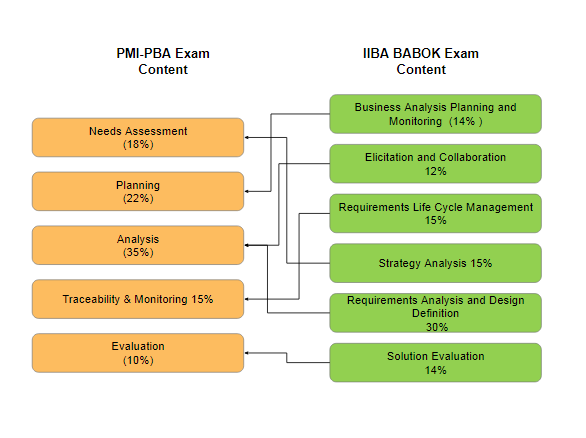 The PMI-PBA outline for Needs Assessment is much more limited in scope while compared with the Enterprise Analysis Knowledge area of its BABOK® Guide. The guide includes some additional tasks to determine the current capabilities and business needs proactively. Furthermore, it defines the business case, rather than to refine and review the existing business case. The task additionally involves activity rather than to meet with stakeholders for requirement analysis. PMI-PBA outline defines Elicitation within the Analysis knowledge area, and it does not consider it as a discrete Knowledge Area which applies to a wide variety of different business analysis activities. PMI-PBA outline confines the planning task to the Requirements Management space, in spite of it gives a broader view of the BABOK® Guide in the Business Analysis Planning & Monitoring Knowledge area. 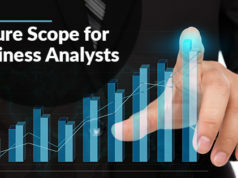 In contrast, IIBA® BABOK® Guide gives business analysts the role in identifying the best possible techniques, approach, and activities to the entire business analysis effort. To conclude, business analysis certification is a specialized education which works as a credential for a business analyst professional. No doubt, a formal recognization from the reputed and authorized body differentiates an individual in the market in terms of both skills and salary. Both IIBA and PMI are internationally recognized organizations that measure the expertise of professionals in a rigorous manner. Hence, the certifications for business analyst professionals from these organizations are highly proficient among the certified professionals. Not to mention, the cost of appearing for these certification exams is very high. Hence, to qualify the exam, you need proper guidance, and only self-study may not help you 100% as the syllabus is vast. 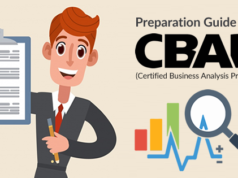 Whizlabs offers preparation material for PMI-PBA, CCBA, ECBA and CBAP certification exam with a free test and exam simulator to make you ready for these exams. We are proud of our successful track records in these best business analysis certifications like other training tracks. Join our training today and become a problem solver for tomorrow! Have any questions in your mind? Just put a comment below or write here and we’ll get back to you. i am a software quality assurance analyst/tester and i would like to do a business analysts certification. which certification would you recommend? You can go with ECBA Certification. Am already working as a Business analyst since 6 months with MBA qualification. I’ve worked already as AR analyst in KPO sector. Currently am working as BA in IT concern in ERP domain. Which certification would you recommend? I work as an application developer in an IT firm for now about 3.5 yrs. I want to switch my role as a business analyst. Which certification would be best for me? I am CBAP with PMI-PBA certification and have experience of 6 years. I’m currently working in Apple. Could you please recommend any higher certification I may choose to grow my skills?